Surprised to see this on the Upper East Side this morning. The number plates tell me it’s all the way from across the river in New Jersey: that explains it. 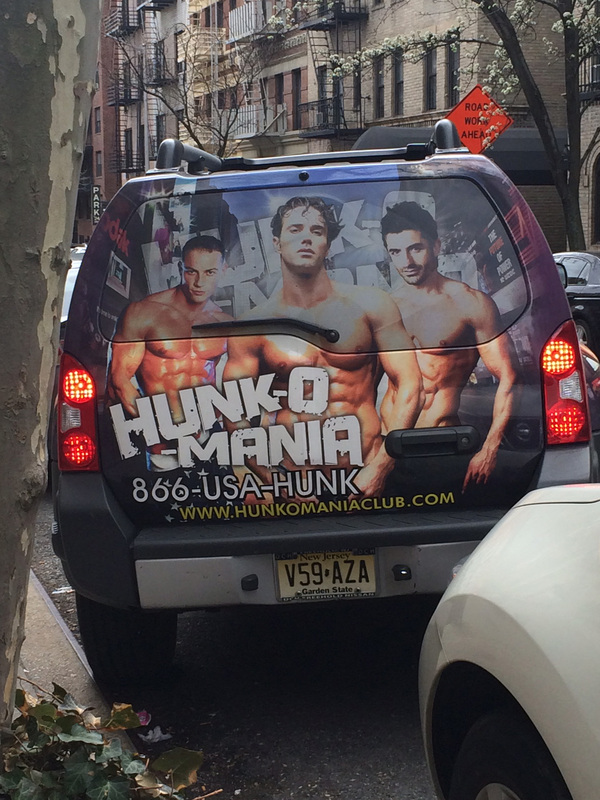 Categories: Advertising | Tags: Hunk-O- Mania | Permalink.